Without proper accounting practices, no business can survive. This is especially true for new small businesses which are already up against such a dauntingly high failure rate. Thankfully, there are lots of basic accounting guidelines and strategies that can help you make sure to prioritize accurate accounting procedures for your business. But, it is important to keep the size of your organization in mind, as small business accounting best practices will differ from those of larger corporations. Find out the accounting for small business best practices you need to succeed in the post below. Be sure to track all business expenses your company incurs. This is a crucial follow-up to your small business capital budgeting process. When expense tracking for small business, be sure to create categories for fixed expenses and variable expenses. This will help you to create better, more detailed expense reports for business. 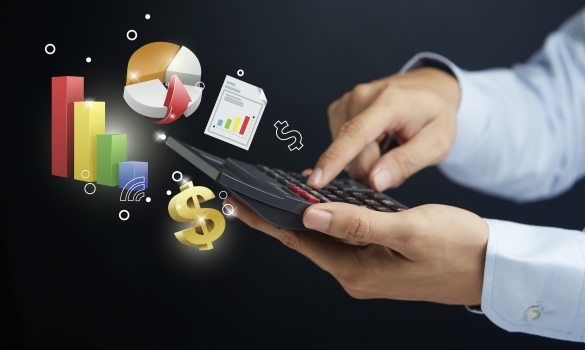 Tracking expenses for small business is one of the most crucial of all your accounting tasks. It is also one of the easiest areas to mess up or make mistakes. Take special care to track small business expenses carefully and correctly. This is one of the crucial small business accounting best practices. Every morning, small business owners should verify how much cash they have on hand. This is an important way to prepare for any expenses that could arise throughout the day. It also helps to keep business owners like you in touch with their financial business performance. This habit ensures that each and every day you are taking time to assess your business cash flow situation. Counting up your cash on hand each and every morning will improve your ability to manage business finances and glean an idea of financial performance as a whole. That is why this is one of the best accounting for small business tips to enact. Creating accurate income statements is a crucial component of small business accounting. Business owners would be wise to learn up on how to create income statements for small business, especially if they have used alternative lending solutions to fund business. These documents are used to prove how profitable your business is. An income statement includes figures regarding the amount your business earned in a particular fiscal period. It should also include all the necessary expenses that business incurred to produce that revenue. As long as you include these two financial details, you will be able to write an income statement for small business. This is important to remember, as income statements are one of the basics of accounting for small business and large business alike. The best way to ensure accurate bookkeeping is to utilize double entry bookkeeping tactics. These bookkeeping strategies requires all financial changes to happen in pairs. Therefore if business assets decline, so too should liabilities and owner equity. Likewise, if business assets should experience a boost, owner’s equity and business liabilities should also increase. All changes should include two parts. One acts as the counterbalance to the other. This way, your are always balancing business finances appropriately for ideal business financial health. This is one of the best accounting for small business practices to ensure that your business utilizes great money management strategies. Carve out time in your work schedule to dedicate solely to accounting management tasks. Accounting and bookkeeping for small business can take up quite a lot of time. You do not want to accidentally leave other responsibilities on the back burner just because you are taking too long to enter figures into your business balance sheet. All business owners like you who are managing your own small business accounting need to prepare for home time intensive these small business accounting best practices are. Set aside time each work week to dedicate solely to accounting tasks. You will be glad you did. Your small business financial performance will be evidence of your time consuming management efforts. All small business owners struggle with managing accounting responsibilities for business in the first few years of operation. This uncomfortable and costly learning curve could hurt business, however. Instead, small business owners like you should learn accounting for small business basics ahead of time. This way, you can survive the first year of business easily by practicing great money management for business. Use the small business accounting best practices detailed above. These accounting for small business fundamentals will help you properly manage small business finances for optimal business performance. Your business’s bottom line is sure to benefit from your accounting efforts. And if all else fails, you can always look for online accountants to do the job for you.